The world of the Celts, including an historical overview from their emergence as an identifiable people around 1000 B.C. Also included is an exploration of their social structure. 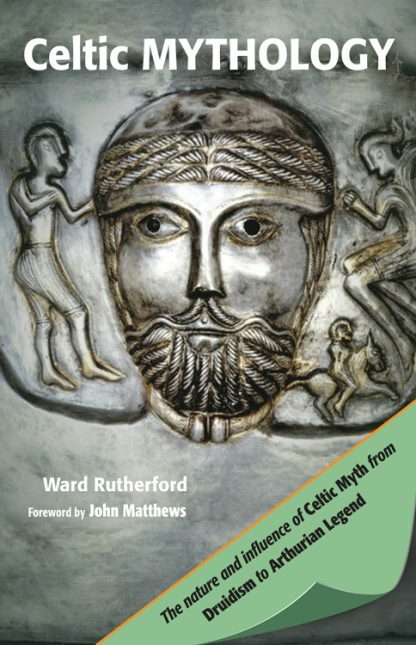 The contents of Celtic myths and the differences and similarities between their manifestation in Britain and Ireland. The topography of the supernatural world of Celtic myth, including discussion of Druidism, Shamanism, and the meaning of Celtic myths. The influence of Celtic myth in English literature from Arthurian legend to the Grail legends. This highly literate, lively, and absorbing exploration of one of the jewels of European cultural heritage demonstrates how deeply Celtic mythology has become embedded in Western consciousness. It is for anyone interested in history, mythology, spirituality, and culture. Ward Rutherford was a well-known author of many books on historical subjects including The Druids and their Heritage and Pythagoras: Lover of Wisdom. He lived in England.